Since 1998, North Coast Outfitters, LTD has developed products to equip a few personnel to do the work of many. In our early years we focused on cargo hauling for our military customers, which eventually led to patient handling and transport equipment. 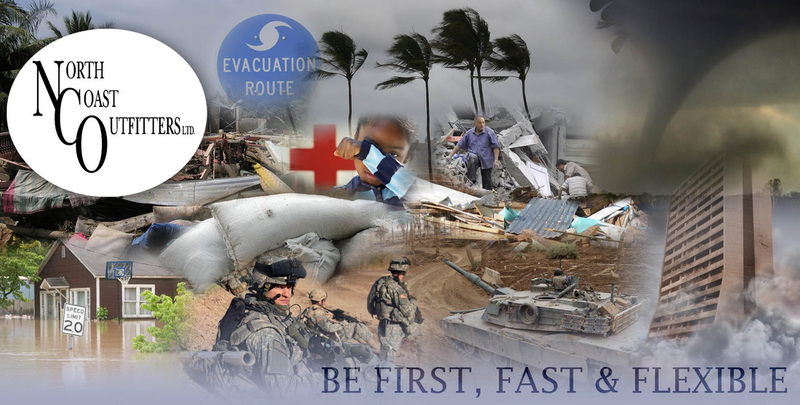 Today, we offer a broad line of products that combine to aid in unique missions in hard to reach areas around the world, or in times of emergency or disaster, potentially in your own hometown. From full mobile hospitals, to surgery, triage, and any emergency need, our products go places and accomplish tasks in which traditional methods fail.